Anaïs Berthier is a lawyer at ClientEarth, an organisation of activist environmental lawyers committed to securing a healthy planet. With its Better Regulation agenda, the Commission talks big about making EU decisions more transparent and increasing public participation. But the reality is very different and ClientEarth’s case is a striking example. In 2014, we took the Commission to court. We wanted to see the thinking behind a decision not to adopt a Directive underpinning the Aarhus Convention, despite a legal requirement to implement it. The EU signed the Convention in 1998, guaranteeing citizens access to justice in environmental matters. Since then, the Commission has caved to member state pressure not to enforce the Convention, yet hides behind procedure. Our case is over access to the Commission’s impact assessment underpinning its decision. We also sued for access to the impact assessment related to the adoption of a legal framework on environmental inspections at national level. Again, it bowed to member state pressure to turn a blind eye. In 2003, the Commission proposed a directive to meet its access to justice obligation in the Convention. Member state pressure saw it stall in Council, and nothing has happened since. In 2012, the Commission restarted the process. Again, it has stalled. We are still waiting to see why. Without the impact assessment, we cannot lay bare the shoddy reasoning behind this failure to legislate. This lack of transparency goes to the heart of the EU’s democratic deficit. The Commission knows it must shape up, as confirmed by the Better Regulation agenda. But again, its actions fall far short of its words. Impact assessments are one of the Commission’s main decision-making tools used to decide whether law, regulation or guidance is the best way to tackle problems. 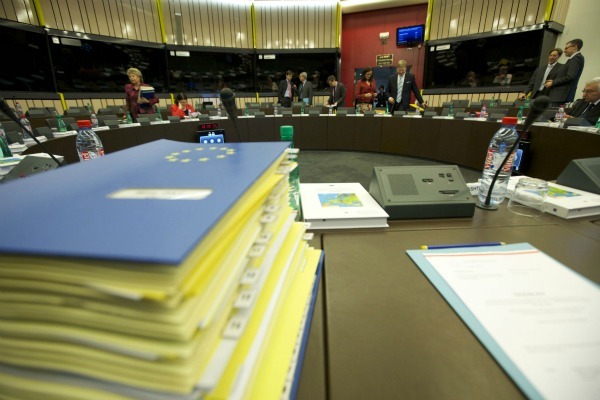 According to the inter-institutional agreement proposal, impact assessments may become even more important, as the European Parliament and Council are required to use them to amend Commission proposals. Impact assessments are the framework on which EU institutions base their preliminary views of proposed laws. They are supposed to ensure legislative proposals are evidenced based. Yet they are kept confidential until the Commission publishes its proposal. If no directive is proposed, the impact assessment is never published. This means there is no public input on the type of instrument chosen, the evidence used or reasoning behind the final decision. Even the way impact assessments are carried out is controversial. Campaigners claim evidence is sometimes twisted to legitimise political decisions, rather than the decisions being based on sober consideration of all the facts. Access to impact assessments would let citizens participate in the lawmaking process, as is their right. Making the process more transparent would also make it more difficult for the Commission to block the adoption of directives – as it did over the Aarhus Convention – or at least force it to justify its choice. If it had implemented the Convention, as it is legally required to do, citizens would be able to bring environmental cases. This would increase accountability of decision-makers and ensure more environmental protection. If the Commission had adopted a directive on environmental inspections, as it tried to, inspectors would be closing the enforcement gap in EU environmental law. It is time for more transparency in the evidence-gathering, decision-making and law-drafting on which the EU is founded. It is time for change. The General Court will rule on our case at 09:30 CET today. We hope they will agree that more transparency in lawmaking is in everyone’s interest. We hope they will call for change. Read ‘European Commission’, see ‘European Politburo’.